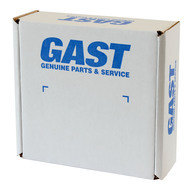 Gast AK524 filter element used on oil-less "Q" models with internal filtration (i.e. 1023-101Q-SG608X). Annual replacement recommended.